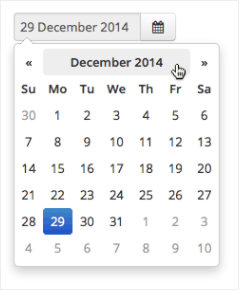 Quick tips on finding and selecting the date you're looking for, fast. 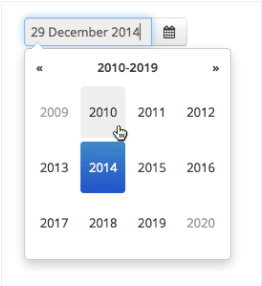 When using the Date Picker in Syngency, you may need to scroll through several months or years to find the date you want, particularly when selecting a date of birth. Save clicking through month by month by following these simple steps to change month or year quickly. 2. 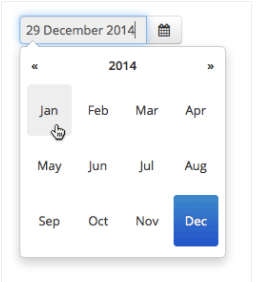 The date picker will switch to the month view, where you can quickly switch to January, or click through adjacent years. 4. 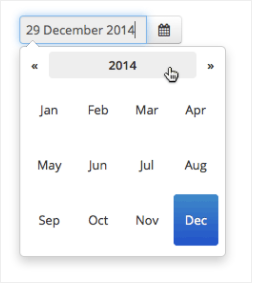 The date picker will switch to the year view, where you can quickly click through adjacent decades.